Call it a tale of two coasts. To date, the uprising at Subway has been the most visible. In late November, franchisees began circulating a petition that asked Subway to withdraw the foot-long deal, which they said would hurt their businesses. Under the franchise system, chain restaurants such as Subway coordinate menus, product sourcing, store design and strategy across all locations. Local operators pay the chain to belong to that system. They also manage the day-to-day business of their stores — rent, labor, ingredients, utilities, maintenance and equipment — and draw their paychecks from whatever is left. Discounts can cut dangerously deep into those margins, the petition says. The document has been signed by nearly 900 people from 39 states who claim to own Subway franchises. Like Miller’s, many are small or family-run entities that operate only a handful of locations. Such a public revolt is highly unusual, said John Gordon, the founder of Pacific Management Consulting Group, a restaurant-oriented firm based in San Diego. The closest precedent is a 2009 lawsuit filed by Burger King franchisees who claimed they were losing money on every sale of the chain’s $1 double cheeseburger. In a statement, Subway said that the petition does not represent the views of the majority its franchisees and that the promotion is optional. Business owners who opt out, however, may face disgruntled customers. In a separate presentation to franchisees, Subway said the promotion was intended to help them stanch several years of falling traffic. But many franchisees say that corporate attempts to grow sales have added to a growing list of challenges. Miller said that when he bought his first Subway 28 years ago, his margins could swell as high as 18 percent. But since then, he said, competition has grown far more fierce and costs have risen dramatically for labor, utilities and rent. Labor costs at fast-food restaurants have increased in each of the past three years, according to the financial-consulting firm BDO, the result of rising minimum wages and increased competition for employees. While the federal minimum wage has not risen since 2009, 29 states and the District of Columbia have instituted higher wages. In California, where the minimum wage will be $11 per hour starting Jan. 1, Miller’s labor costs are up 50 percent from 10 years ago, he said. The cost of a full-price sub has risen only 20 percent. Meanwhile, the restaurant market has grown more crowded. Between 2009 and 2014, the United States added nearly 18,000 fast-food restaurants, according to the Agriculture Department — growing at more than twice the rate of the population over the same period and continuing a decades-long trend. To make matters worse, it’s not just quick-service restaurants competing for consumers’ dining dollars anymore. Fast-casual restaurants such as Panera, delivery services such as GrubHub and meal kits such as Blue Apron have all muscled their way into the market, as have grocery and convenience stores. As a result, year-over-year sales at fast-food and fast-casual chains have fallen dramatically over the past two years, according to Technomic, a restaurant-analytics firm. And because name-brand chains report those numbers to investors, it has put them under enormous pressure to find ways to pull in more customers — even customers who don’t spend a lot of money per ticket. Enter a time-honored technique: deep discounts and low-margin “value” items. The idea behind these promotions is that franchisees sacrifice some profit per item in the hope that increased traffic will make up for those losses or that customers will also spring for a side or drink. Ideally, the deals benefit both big-name chains and franchisees. But operators often see discounts as a gamble, said Dady, the lawyer. In recent months, Dady has heard from a number of clients who are concerned about upcoming promotions. Many cannot speak publicly because of the risk of retaliation from their corporate parent, he added; many franchising contracts include disparagement as a reason for termination, and some firms have subjected complainers to nuisance health and cleanliness inspections. 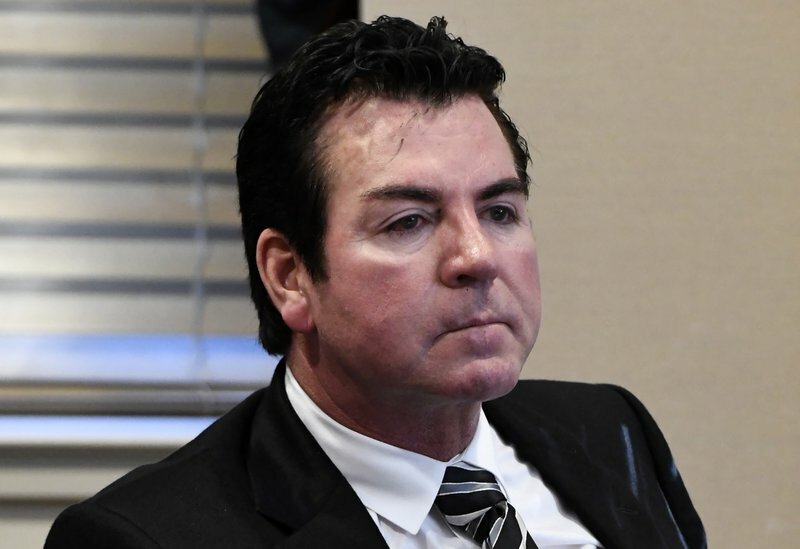 But analysts say that franchisees for Little Caesar’s, the country’s third-largest pizza chain, also have been vocal behind the scenes — even refusing, in some cases, to carry the $5 pizzas widely advertised on TV. And at McDonald’s, some franchisees have protested the chain’s cascading promotions, telling analyst Mark Kalinowski in a periodic survey that the deals had cut into their profits. But despite the feedback from some franchisees, analysts say that the discounting push is not likely to end. Chains have no other choice in this ultracompetitive environment, said Malcolm Knapp, the founder and president of an eponymous market-research firm based in New York. Many, he added, have succeeded in devising tiered value menus that also work well for local owners. At Subway, the return of the $5 Footlong is also moving forward, nearly 10 years after the chain originally introduced it nationwide. Subway offered the deal periodically between 2008 and 2016, when the company raised the price to $6 — a reflection of rising costs, it said. Those costs are still rising, Miller points out. And increasingly, he and other fast-food franchisees say that they are getting caught in the middle. Several Chicago Argo Tea locations will soon be going cashless, the chain announced, a sign of the growing influence of plastic and mobile ordering at restaurants and retail stores. Six Argo Tea locations in Chicago will go cashless Monday, a sign of the growing influence of plastic and mobile ordering at restaurants and retail stores. The Chicago-based chain will stop accepting cash at its cafe in the Loop and those at the University of Illinois at Chicago, the Merchandise Mart and three locations at O’Hare International Airport. Argo said the introduction of cashless cafes will allow it to speed up service. It has 16 Chicago-area locations, according to its website. It didn’t say why these locations were chosen, but they are in some of the most trafficked places in the city, making speed of service critical. It also didn’t say what percentage of sales are cash transactions. Argo is encouraging customers to use mobile payment options more often by offering a $5 credit when they download the company’s app. As an alternative for those customers who don’t want to use their smartphones, credit or debit cards, Argo said it is working to develop an in-store gift card kiosk that will accept cash. In addition to increasing service speeds, banning cash also allows a retailer to collect more data on its customers’ buying habits. It’s also considered safer, since cash won’t be available in the register, deterring possible thefts. The trend toward banning cash has been slow so far in Chicago, but some retailers and restaurant chains have tried it. Sweetgreen, a salad chain that opened in Chicago last year, is now cashless at all of its locations. Clothing retailer Kit and Ace, which has a store in the Fulton Market district, has never taken cash, saying it allows stores to be more efficient. For Argo, especially in the locations it chose, going cashless doesn’t run a significant risk of angering customers, said John Gordon, principal at Pacific Management Consulting Group. Restaurants and coffee shops in city centers tend to see the least cash sales, Gordon said. And brands like Argo and Starbucks tend to see fewer cash sales than brands like Dunkin’ Donuts or McDonald’s because they cater to a more affluent customer. There’s an added benefit of going cashless, as well: People tend to spend more when they pay with their phones or credit cards. “Will it turn off some customers? You bet. But I’m guessing there is a significant upside,” Gordon said. Gordon believes that the cashless trend is still in its very early stages, but he expects big restaurant and retail brands could follow in five to 10 years. Wow Bao is set to open a new location that will be missing something big: waitstaff. The quick-service Asian chain will open Chicago’s first restaurant with fully automated service Dec. 1. Customers will order and pay at a kiosk and pick up their food from one of a dozen LED-lit cubbies, which will display their name on an LCD screen when their food is ready. Wow Bao is also introducing a new app in tandem with the Near North restaurant so visitors can order on their phones. There will still be cooks preparing the chain’s steamed buns, noodles and rice behind the scenes, but they will be invisible to customers. The only staff customers will see will be a“concierge” or two tasked with guiding them through the order process and assisting with problems. The new technology has failed to catch on in markets outside of San Francisco for its creator, Eatsa, a grain bowl and salad chain that scrapped its own plans for a Chicago store and announced last month that it was closing existing sites in New York, Washington, D.C., and Berkeley, Calif. But Wow Bao is betting heavily on automation. The chain plans to double its locations next year, implementing the new technology at all new sites. The Near North restaurant will be Wow Bao’s sixth location in Chicago and 14th overall, including a delivery-only location in Los Angeles and stadium, airport and college campus outposts. Technology in the restaurant industry is changing quickly, with even large chains like McDonald’s rolling out mobile order and payment systems and installing ordering kiosks in restaurants. For restaurants, there are a number of benefits. Orders that come through kiosks or on mobile phones can be placed more quickly and with fewer errors. Customers also tend to spend more when ordering electronically, and the technology allows restaurants to scale back employee hours. Alexander said Wow Bao’s order kiosks are overwhelmingly preferred by customers. “There are times when we have no one in line at the cashier, and six or seven deep at the kiosk,” he said. Alexander admits that it may take customers time to adjust to a restaurant without any waitstaff, but he said he believes that the model is a sign of where the restaurant industry is headed. Wow Bao is the first restaurant chain to license this technology from Eatsa, which is operating just two locations in San Francisco as it tests and builds out its brand. Eatsa also hopes to pursue other deals that involve licensing its technology to established chains, CEO and co-founder Tim Young said. At Eatsa, Young said, customers place orders and get their food in less than 90 seconds, which is comparable with fast-food service. He added the model also takes out “pain points” that can be present at restaurants, including the slowdowns and glitches that can occur between different apps and in-store technologies. But John Gordon, principal at Pacific Management Consulting Group, said that while there are clear benefits to technology in the restaurant industry, full automation may not sit well with customers — especially older generations. “We’ve got to remember that the restaurant business is still essentially a human-to-human endeavor,” he said. Wow Bao, which was founded in 2003 by Lettuce Entertain You Enterprises, recently got an undisclosed investment from Chicago private equity firm Valor Equity Partners to accelerate its growth. Valor Equity has an existing partnership with Eatsa. Ancora’s representative on the strategic review committee could push for a sale if a suitor can be found. Potbelly Corp. (PBPB – Get Report) announced late Thursday, Oct. 5, that it had added Joseph Boehm of activist fund Ancora Advisors LLC to its board and strategic review committee, in a move that will likely increase the company’s odds of getting some kind of deal done, though roadblocks remain. Former CEO Aylwin Lewis was left in August just as the company announced it had JPMorgan Securities LLC to advise on the review. Boehm’s position on the strategic review committee is part of a larger settlement between Ancora and Potbelly. The firm cannot acquire more than 9.9% of Potbelly’s shares and must keep its stake above 3% or else it will lose its seat. The board goes to eight members from seven with the appointment. Cleveland-based Ancora holds a 4.4% stake in Potbelly and has asked the company to consider refranchising at least part of its 413 company-owned locations and improve margins through the use of technology. The firm has said that if Potbelly did not enact these changes it would push for a sale. Potbelly has provided no update on the review since August. Activist funds often push restaurant chains to franchise more stores and use the proceeds for stock buybacks or dividends as a mechanism to boost total shareholder returns. That’s part of what Ancora, which owns a 4% Potbelly stake, is after at the sandwich chain. Marcato Capital Management LLC employed the strategy at Buffalo Wild Wings Inc. (BWLD – Get Report) , and it’s also possible that activist Glenn Welling could soon push Ruby Tuesday Inc. (RT) to franchise some of the hundreds of stores it operates. In addition, activists could push for further franchising and M&A at Jack in the Box Inc. (JACK – Get Report) . As for Potbelly, the company has seen sales lag recently and it operates in the over crowded fast casual vertical where more tantalizing targets may be on the market. John Gordon of Pacific Management Consulting Group suggests that a strategic acquirer would be the best fit for Potbelly as the company could benefit from a parent with greater scale and infrastructure that could help implement company-wide changes to help improve the company’s operations. Pizza Hut owner National Pizza & Wing Co. as well as Jimmy Johns, which is backed by Roark Capital, would be logical suitors as would JAB Holding Co., which recently took Panera private. However he notes that the Panera deal likely rules out JAB and that the Pizza Hut franchisee already branched out by acquiring a significant chunk of Wendy’s locations. Privately held Firehouse Subs owner, Firehouse of America LLC, may also be a logical depending on the overlap of its store footprint with that of Potbelly. Gordon seconded Anderson of Maxim’s assertion that nothing significant will get done at Potbelly until a CEO is named. Despite the potential lack of suitors, a sale may be the best bet, seeing as Potbelly recently took a number of steps incentivizing executives to do so, including bonuses if the company is sold before a new CEO is found. Analysts currently carry a wide range of price targets for Potbelly spanning $11 per share to $17 per share, meaning Potbelly could be worth as much as $426 million based on its 25.1 million shares outstanding. The company has no debt and cash of about $21 million as of June 25. 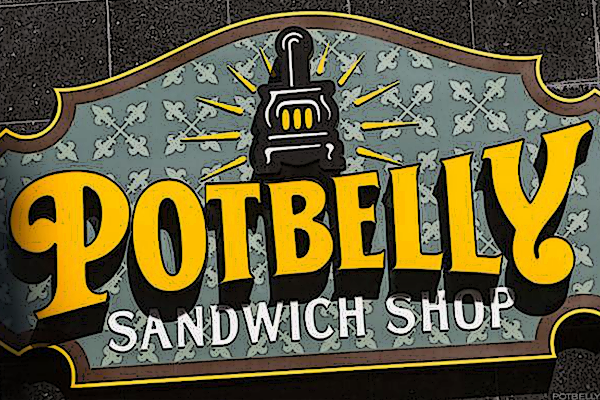 Potbelly shares shot up 4.12% to $12.65 apiece on Friday. Maxim’s Anderson holds an $11 price target on Potbelly, representing a enterprise value to 2018 Ebitda ratio of about 6.4 times. “We believe continued near-term sales softness, as highlighted by our downwardly revised 3Q17 (September) comp estimate … is likely to limit near-term upside potential,” Anderson wrote, adding that the sale prospects also limit downside, for now. Potbelly and Ancora did not respond to requests seeking comment. The company’s shareholders are investing $25 million into the brand as it plans to start offering $4.99 footlong subs. The shareholders include the family of the chain’s late founder, Fred DeLuca, and his co-founder, Peter Buck. “Subway is in the midst of a massive transformation, and change of this size takes time,” the statement said. The petition underscores the challenges that large, franchise-heavy quick-service brands have in pushing value in the current environment. Many systems feel they have little choice, given intense competition and offers from major competitors. Indeed, news of the petition comes just days after McDonald’s revealed its own upcoming value offering: a $1 $2 $3 Dollar Menu with several items and a planned Jan. 4 start date. Several other quick-service chains have their own value offerings, or are planning them. Subway grew for years in part because of its value, driven by the ultra popular $5 Footlong promotion, which helped it establish its credentials as the value player in the growing sandwich business—while also helping the chain grow into the largest single restaurant chain in the U.S. by unit count. But rising costs led the company to move away from that promotion in 2012. Subway has since struggled to come up with an adequate successor—similar to McDonald’s own struggles finding an adequate successor to its popular Dollar Menu. According to the memo, the end of that deal and increasing check averages at the chain have hurt Subway’s perceived value, particularly when compared with McDonald’s. That memo also blames growing competition from the likes of Arby’s, which has seen same-store sales increase for six straight years, as well as other sub chains Jimmy John’s and Jersey Mike’s. In 2016, Subway’s U.S. system sales declined by 1.7% to $11.3 billion, and unit count declined by 1.3% to 26,744, according to the Technomic Top 500 Chain Restaurant Report. John Gordon, a restaurant consultant in San Diego, said that Subway was “stuck” in pushing value, given that it spent so much time pushing value. The $4.99 Footlong offer would largely resurrect that $5 deal, and has been tested in some markets. Operators are concerned about the Footlong offer largely because establishing that price point nationwide would hurt operators in more expensive markets where labor, rent and other costs are higher. Labor costs in particular are rising annually amid competition for workers and rising minimum wages. While other chains have used $5 price points to lure customers—like Yum Brands’ KFC and CKE Restaurants’ Hardee’s and Carl’s Jr.—Subway’s small, $420,000 average unit volumes, according to data from Technomic, make such discounts more difficult to swallow, operators said. The discounts come as the chain seeks to improve its use of technology and convince operators to remodel locations. Yum! Brands chain now delivers beer in Phoenix, Ariz.
Name a more iconic duo than pizza and beer. Yum! Brands, Inc. (YUM – Get Report) knows it’s a winning combination and that’s why the Pizza Hut owner is piloting a new beer and wine delivery program in Phoenix, Ariz. The program debuts Tuesday, Dec. 5 with beer offerings. Wine will be available in that market in January and then the company hopes to expand the service to other metro areas. “Beer and wine are the perfect combination to pizza, and we can serve as a one-stop shop because we can do that all in-house, no added fees, no extended time.” said Yum! Brands spokeswoman Stacy Lynn Bourgeois. Customers will be able to order alcohol with or without pizza, she told TheStreet. In Phoenix, the first four offerings are Budlight, Budweiser, Shock Top and local favorite Kilt Lifter for $10.99 each for a six-pack. All four brands are owned by Anheuser Busch Inbev NV (BUD) . Pizza Hut will use its existing delivery program to support the service, Bourgeois said. Delivery fees will depend on the restaurant, usually varying between $2 and $3. The pizza chain will be the first fast casual franchise to offer booze for delivery, but it will not extend its alcohol selection beyond beer and wine, the company said. Delivery workers in Arizona have been trained to ask for IDs during delivery. Prices will vary depending on the market. Adding beer and wine to the mix of offerings, he told TheStreet, will drive the average ticket higher while the cost of delivery remains the same per order. For Jimmy John’s Franchise, LLC, for instance, the cost of delivery per order is about $10. While chain restaurants at large have struggled in recent years, Yum! has done considerably well under a highly franchised model and the leadership of a new CEO, Greg Creed. Its most notable success story is Taco Bell, whose brand strongly resonates with Millennials. Pizza Hut and KFC, meanwhile, are in earlier stages of a turnaround. In the third quarter, Yum! posted same-store sales growth in all three chains. Pizza Hut saw a 1% uptick in same-store sales while boasting a new delivery algorithm that improves timing by six to seven minutes. Pizza Hut beer will be delivered in specially designed coolers, Bourgeois said, similar to its new heat retaining pizza delivery bags unveiled in September. Starbucks is going venti in China. The Seattle-based coffee company opened a 30,000-square-foot store in Shanghai on Tuesday. It’s the first Starbucks Reserve Roastery — the company’s new retail offering — outside the U.S.
It’s also the largest Starbucks in the world, spanning an area nearly twice as large as the next biggest, a Roastery in Seattle that opened three years ago. 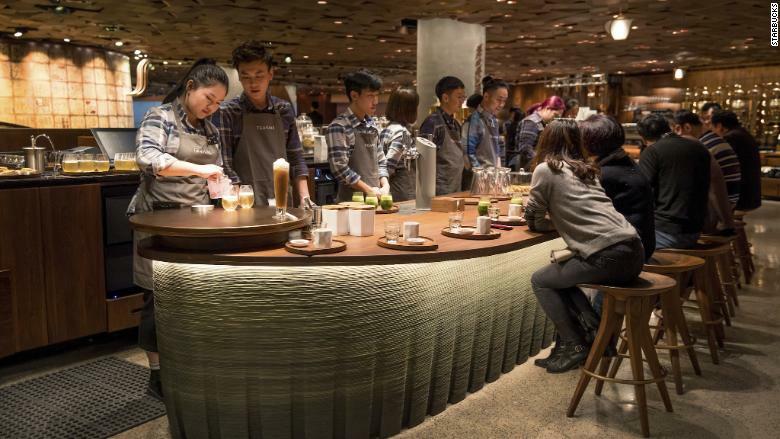 The Starbucks Reserve Roastery opened Tuesday in Shanghai, China’s most populous city. China is a vital market for Starbucks (SBUX), according to John Gordon, a restaurant analyst at Pacific Management Consulting. The company’s latest quarterly earnings were pretty gloomy, showing disappointing sales growth in a tough retail environment. The one bright spot was China, which stood out as Starbucks’ fastest growing market. Sales there were up 8% compared with the same quarter last year. The company is riding that wave and expanding aggressively in China, opening a new Starbucks store every 15 hours on average. Even though Chinese are traditionally tea guzzlers and less hooked on coffee than Americans, the country’s growing ranks of upwardly mobile consumers still view Starbucks as an attractive, aspirational brand. The company is playing to that perception with its new Shanghai shop. The store features massive copper casks for storing coffee beans, although the actual roasting will take place elsewhere on the premises. There is also a special emphasis on tea, with a dedicated bar offering items like nitrogen cold brew tea. In a sign of the times, Starbucks partnered with Chinese tech giant Alibaba (BABA) to aggressively promote the Shanghai store opening online. 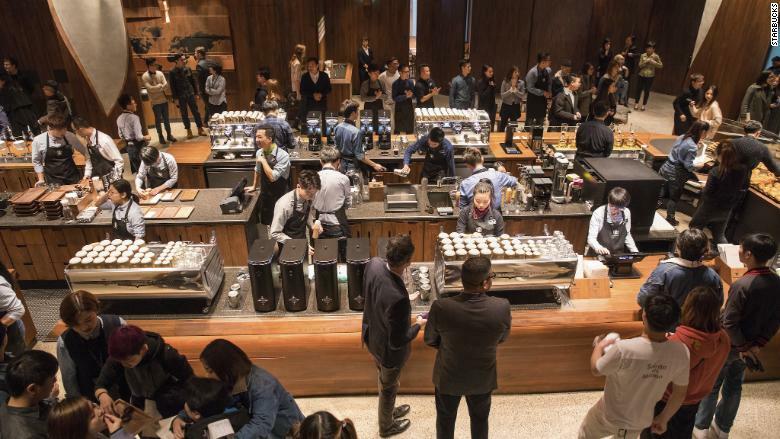 Customers can book coffee tasting experiences on Alibaba’s e-commerce site and also buy special Starbucks Reserve coffee and related products tied to the store’s launch. But the Shanghai roastery won’t hold the title of largest Starbucks for too long. The company has already inked a deal for an enormous 43,000-square-foot Reserve Roastery in Chicago that’s set to open in 2019. The Street – Could McDonald’s or Arby’s Buy Bumbling Chipotle? Last week, Chipotle Mexican Grill Inc. (CMG – Get Report) announced its co-founder, Steve Ells, will be relinquishing his position as CEO, as the beleaguered fast-casual chain began a process to search for a new chief executive. However, the move raises questions about whether Chipotle might instead put itself on the auction block in the hopes of escaping the volatility of the public markets – it has been a rocky ride for the chain in the public markets over the past few months, capped by third-quarter earnings in October that missed Wall Street estimates by nearly $1. Specifically, on Nov. 29, Chipotle said Ells would step down but remain as executive chairman at the firm. Governance experts argue that it may be hard for Chipotle to find a CEO, in part, because whoever is chosen will have to deal with Ells, who observers insist will still be effectively in charge despite relinquishing the chief executive role. Also, Chipotle has four directors on its board who were brought in by activist fund manager Bill Ackman, including Ali Namvar, a member of the insurgent investor’s investing team. Ackman said he fully supports Ells decision. Nevertheless, activist-pressured companies often sell themselves when they are pushed to improve results and have no full-time CEO. Consider activist Mick McGuire’s success at installing three dissident directors onto the board of Buffalo Wild Wings (BWLD – Get Report) earlier this year in a move that also drove the wing and beer chain’s CEO, Sally Smith, to announce her resignation. But instead of finding a new CEO, BWLD agreed to sell itself to Arby’s Restaurant Group owner Roark Capital for $2.9 billion. John Gordon, a restaurant analyst at Pacific Management Consulting Group, argues that it will be difficult for a new CEO to come in and have full control with Ells overseeing the board. As a result, he contends, it was possible that Chipotle may seek to sell itself at the same time as it seeks out a permanent CEO, especially given all the volatility in the company’s shares in recent months. Chipotle has experienced problems with its new Queso sauce and a string of bad news in recent months, including rodent sightings at one location and sick customers at another. A buyer or group of buyers would need to pay roughly $400 a share to buy Chipotle, considering a 30% premium, putting a price tag of roughly $11.3 billion on Chipotle, which also would assume current liabilities and deferred rent, Gordon estimates. Nevertheless, he argued that it was more likely that a consortium of buyout shops would be interested rather than a publicly-traded restaurant chain, partly because of a large amount of capital available for take-private deals. Roark Capital, the PE shop that acquired Buffalo Wild Wings, is seeking to raise $2 billion to buy additional restaurant chains, according to an Axios report. However, Roark Capital wouldn’t be able to acquire Chipotle on its own, Gordon notes. However, he added that the fund could find partners to help with an acquisition. Gordon suggested that Roark could seek to break up its restaurant chains into categories, such as fast-casual or quick-service chains, and take those public separately. When it comes to a Chipotle acquisition, strategic operating rivals may also have a difficult time. 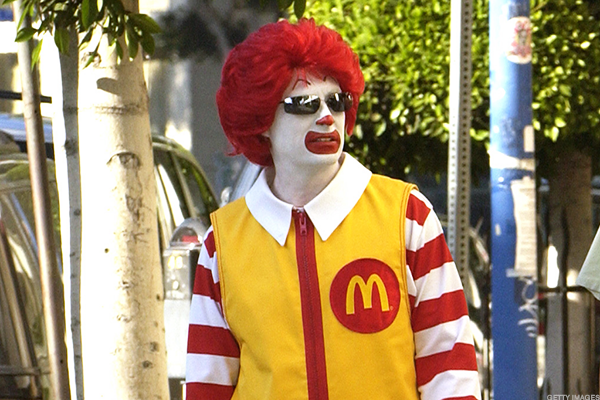 Gordon said he did not believe McDonald’s Corp., (MCD – Get Report) which spun off Chipotle in 2006, would ever be interested in rebuying the company. “The McDonalds demographic is more blue collar at the same time Chipotle is still very expensive and would require taking on a lot of debt,” he said. The value of Wendy’s stake in Arby’s may rocket higher thanks to the latter’s parent’s acquisition of Buffalo Wild Wings. Arby’s owner, Roark Capital, plans to buy Buffalo Wild Wings for $2.4 billion and fold the chicken wing restaurant company under Arby’s management. Wendy’s owns an 18.5 percent stake in Arby’s, a relic of when Wendy’s merged with Arby’s before Arby’s was sold to Roark in 2011. Wendy’s stake in Arby’s was valued at $325.8 million as of Oct. 1, according to a filing with the U.S. Securities and Exchange Commission. How much that investment grows with the purchase of Buffalo Wild Wings is unknown, but Wendy’s approves of the purchase. Wendy’s added that it is too early to know what impact the deal will have on the value of its investment in Arby’s. One analyst, Chris O’Cull of Stifel, said in a research note that if Arby’s plan to merge with Buffalo Wild Wings goes through, Wendy’s stake in the new entity will likely increase in value, but the exact amount is unknown. When Arby’s was sold to Roark in 2011, Wendy’s 18.5 percent stake was worth about $30 million. Arby’s fortunes have soared since splitting with Wendy’s. Roark paid Wendy’s a special dividend of $54.5 million in 2015 after a particularly good quarter. It isn’t well understood, though, just how Buffalo Wild Wings and Arby’s will be consolidated. Roark is a private-equity firm, which doesn’t make financial disclosures. Arby’s and Buffalo Wild Wings will share a CEO, which makes it look like Arby’s might just swallow the wings chain whole, according to John Gordon, principal of Pacific Management Consulting Group, and a restaurant industry analyst. “This would imply Arby’s would get the value upside, and thus, Wendy’s,” Gordon said. Roark said in announcing the deal that Buffalo Wild Wings will operate as an independent brand. Roark also owns Hardees, which is a separate investment from Arby’s. Gordon thinks more will come out next year as the deal is finalized and Wendy’s divulges the value of its stake in Arby’s. The deal is expected to close during the first few months of 2018. It still needs the approval of Buffalo Wild Wings’ shareholders. If the value rises a lot, investors will want to know what Wendy’s plans are for their stake, he said. “When and why would they sell it?” Gordon said. Now that Potbelly has hired J.P. Morgan Securities to develop “strategic alternatives” to business as usual in the tough restaurant marketplace, it’s easy to assume the 40-year-old Chicago sandwich brand is putting itself on the auction block. While a sale is a likely outcome, experts say Potbelly has other options despite a lackluster performance since its 2013 IPO. “Everything is up for grabs at this point,” says Stephen Anderson, an analyst at Maxim Group, a New York-based investment bank. “The most likely event that will occur is a refranchising,” or selling company-owned restaurants to franchisees. The advantage: It’s more profitable to sell the right to operate Potbelly stores, and then collect annual fees, than it is to sell Wreck sandwiches and oatmeal chocolate-chip cookies (no matter how delicious they may be). At the end of last year, Potbelly owned 411 of its restaurants and franchised just 43. DiSanto wrote that franchisees would be interested in buying because of Potbelly’s strong store-level sales, high-quality product and strong brand. The company, which reported $407.1 million in 2016 revenue, averages about $900,000 in sales per store—more than twice as much as the $424,300 that QSR Magazine estimates an average Subway location pulls in. “I think we certainly need to be open to larger deals,” Potbelly interim CEO Michael Coyne acknowledged on an Aug. 4 conference call with investors. That could include sales to “master” franchisees who would control an entire territory instead of a location or two. But finding big partners may take longer than executives or investors would like. That brings the conversation back to a sale. J.P. Morgan will spend a few months assembling a pitch book and another few months shopping it around to the usual suspects—a wide range of private-equity firms. Penney points out another reason that Potbelly makes an attractive acquisition: It can use “dark kitchens.” The term refers to a restaurant that serves only delivery and catering customers and has no seats. Chains love the idea because they don’t have to pay for prime real estate or build out an attractive restaurant, and on-demand food delivery is continuing to explode. Potbelly already is nodding to these forces by exploring smaller store formats under a project called “Shop 2020.” The effort, still in its planning phases, was presented at investor conferences in June. While discussing the idea at one conference in New York, Coyne pointed to a 600-square-foot Potbelly inside Lurie Children’s Hospital in Streeterville. “It is doing phenomenally well, better than even our average revenue” at a 2,000-square-foot store, said Coyne, who took over from Aylwin Lewis earlier this summer. “We actually have the ability, we think, to go even smaller as long as we have some nearby space for commissary to store some things.” Potbelly executives think the model could work in high-traffic areas including hospitals, office tower lobbies, airports and universities. Despite the harder time even some of the biggest chains have had lately at maintaining traffic and sales, private-equity investors have been increasingly interested in restaurants. Earlier this year, former McDonald’s CEO Don Thompson, through his new Chicago private-equity firm, Cleveland Avenue, bought a majority stake in PizzaRev, a 40-site chain that started in Los Angeles. And Portillo’s Hot Dogs sold itself to Berkshire Partners in mid-2014 (less than three months after the Oak Brook company hired an investment firm to explore its options). Maxim’s Anderson says its impossible to say which private-equity firms would make a Potbelly bid, but he namechecks Sun Capital Partners of Boca Raton, Fla., which owns Boston Market, Friendly’s and Johnny Rockets; San Francisco’s Golden Gate Capital, which bought Red Lobster; and JAB Holdings of Luxembourg, which, with minority investor BDT Capital Partners of Chicago, has been rolling up premium coffee chains including Chicago-based Intelligentsia and recently snapped up Panera Bread, too. Others say Potbelly’s small size puts it below those firms’ strike zones. But macroeconomic forces may push would-be buyers to act fast. “I would say with interest rates rising and access to capital starting to be a concern, the clock is running,” Anderson says. Wray Executive Search – Restaurant Traffic versus Transactions: Which is Best to Count and Report? Buffalo Wild Wings (BWLD – Get Report) shares jumped early Monday after activist investor Marcato Capital’s Mick McGuire escalated his insurgency and announced plans to nominate a minority slate of four dissident director candidates to the wing and beer restaurant company’s nine-person board. The contest shouldn’t be a surprise as the insurgent fund manager in August sent a letter to Buffalo Wild Wings board urging the company to bring on “fresh talent” to its board and management team. Marcato has been pushing Buffalo Wild Wings to franchise more of its company-owned stores, fix what it sees as business failures and capital allocation problems, all key parts of the activist playbook when it comes to pushing up the stock prices of public restaurant chain targets. To drive his campaign McGuire is seeking to nominate himself, Scott Bergren, formerly CEO of YUM! Brands’ Pizza Hut, Sam Rovit, president and CEO of CTI Foods and Lee Sanders, managing director of Rocket Chicks LP. The fund has a 5.2% equity stake, according to FactSet, and is the fourth largest Buffalo Wild Wings shareholder. Buffalo Wild Wings share price spiked on the launch of the contest, up roughly 1.5% to $152.15 a share in mid-day trading. Nevertheless, the company’s share price is down from the $165.25 a share it was trading at in August after Marcato issued a critical letter to the company’s board. McGuire launched his public campaign at Buffalo Wild Wings in July, suggesting that the company should consider strategic alternatives to improve shareholder value and the fund has been escalating his efforts ever since. Buffalo Wild Wings has taken a few steps in recent months as part of an effort to appease disgruntled investors in an ultimately unsuccessful effort to head off a Marcato contest. In August, the company announced a $300 million share repurchase authorization, a key tactic of companies targeted by activists. In October, hoping to head off a proxy contest, the restaurant chain installed three new directors, Andre Fernandez, president of CBS RADIO, Hal Lawton, senior vice president of North America at eBay, Inc., and Harmit Singh, executive vice president and chief financial officer of Levi Strauss & Co. McGuire said Monday that the three new directors “don’t go far enough” to address what he sees as a skill deficiency at Buffalo Wild Wings. Activists often pressure restaurant chains to reduce the number of their company-owned stores by franchising more locations, as part of an effort to raise capital for stock buybacks. This may be a key goal for Marcato, which has said it wants to see the company move to a predominantly franchised business model. The fund even wrote a letter in December to the company’s franchise owners, noting that based on its approach, franchising will be the top priority and franchisees will receive “equal and immediate” access to new systems, tools and market initiatives. However, John Gordon, restaurant analyst at Pacific Management Consulting Group, argues that moving to an overly franchised model puts the brand at risk, particularly, with more complicated restaurant chains like Buffalo Wild Wings, which have guest table service and an alcohol component. Gordon notes that Buffalo Wild Wings is currently 51% company-owned and 49% franchisee-owned, with almost no locations outside the U.S.
Marcato chides Buffalo Wild Wings for buying into franchisee units recently at “excessive valuations.” Gordon acknowledges that the company bought some struggling locations from franchisees recently at high multiples. However, he argued that the purchases were made to help improve the company’s overall image and brand and to help revitalize those locations and that they put a spotlight on problems where too much control is ceded to franchise owners. “You [Marcato] criticizes them for buying back struggling franchise locations and investing a lot of money to bring them back up to par but at the same time recommend that they dump the rest of the company owned stores to other franchisees?” asked Gordon. He pointed out that Buffalo Wild Wings could receive roughly $1.5 million to $2.2 million per store, depending on each store’s EBITDA, if it were to sell company-owned locations to franchise owners. However, he argued that such spending, which could raise funds in the short-term for stock buybacks, could hurt the overall business and brand over the long term. Gordon suggests that, instead, Buffalo Wild Wings should consider expanding outside the U.S., as means of driving growth. “Are you making the overall brand and system stronger or weaker?” asked Gordon. The majority of proxy contests typically settle, with the activist getting one or two director candidate to their target’s board. Nevertheless, it is possible that this proxy contest could go the distance all the way to the annual meeting, which is expected to take place in July. Marcato has launched 21 campaigns since 2011 but only one director-election proxy contest before this one, according to FactSet. That was at Lear Corp. in 2013 and Marcato’s proxy contest for three of eight board seats was settled for the appointment of one mutually acceptable director and a commitment to hike buybacks. On Thursday, Marcato did reach a deal with Terex Corp. (TEX – Get Report) to add one Marcato recommended nominee to its board. Nevertheless, the lack of a stronger track record when it comes to director election contests suggests that Buffalo Wild Wings might not want to settle early. In what should be good news for its patrons, Jack in the Box is planning to offer later this year deep discounts on lower priced menu items in the face of growing competition from its fast food rivals. In an earnings call Wednesday, CEO Lenny Comma said that it has no choice but to start discounting more heavily than has been their practice over the years. Where the San Diego chain has normally promoted value for budget-conscious customers by offering bundles of sandwiches, fries and soft drinks, it will now start lowering prices on individual menu items, he said. He cautioned, though, that Jack in the Box has to be careful to not discount too much and for too long a time or it runs the risk of damaging the brand. Comma didn’t mention what menu items in particular would be targeted for lower pricing. He noted that recent examples of the company’s more conventional promotional offerings was its Jumbo Meal, which bundled a Jumbo Jack burger with two tacos, fries and a soft drink for $3.99. The company also is struggling to overcome declining sales at its fast casual chain of Mexican restaurants and is looking at the possibility of unloading the once high-performing Qdoba brand. Jack in the Box announced this week it has hired the investment banking firm Morgan Stanley to evaluate options for the under-performing Mexican food brand. Although Comma has not specifically stated that spinning off the Qdoba brand is an option being weighed, analysts say it’s clear that is a very real possibility. While Qdoba has a very limited presence in Southern California, including just one outlet in San Diego — at the airport — the brand has grown to 700 locations in 47 states and Canada since Jack in the Box acquired it in 2003. In recent quarters, it became clearer that Qdoba, once the financial darling of the company, was starting to be a drag on the overall financial performance of Jack in the Box. During the second quarter ending April 16, same-store sales at Qdoba restaurants fell 3.2 percent, including a decline of 5.9 percent at company-owned locations, a sharp reversal from an overall 2.1 percent gain just a year earlier. By comparison, Jack in the Box same-store sales fell just 0.8 percent during the second quarter. Looking ahead, company executives are forecasting a 1 percent growth in same-store sales within the Jack in the Box system restaurants but a decrease of as much as 2 percent at Qdoba outlets. Given the company’s decision to reach out to Morgan Stanley for help, a sale is no doubt one route Jack in the Box could take to address investor concerns, said San Diego restaurant consultant John Gordon. A little less than a year ago, Jack in the Box announced plans to relocate Qdoba offices from the Denver area to San Diego, where it could share space at its parent firm’s Kearny Mesa headquarters. Despite lagging sales, there are plans to open as many as 60 new Qdoba restaurants this fiscal year, the company noted in its current earnings release. The move to reevaluate Qdoba comes at a time when the bloom is starting to come off the rose of a very successful fast casual market. In the fourth quarter last year, fast-casual chains’ same-store sales fell 1.1 percent on average, according to research by Nation’s Restaurant News.